This piano is open to play during business hours. 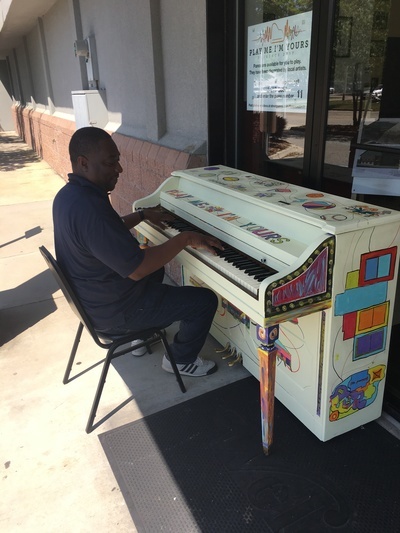 It was decorated by participants at the Barnes St. Activity Center, and it is piano 11 for the People’s Choice vote. 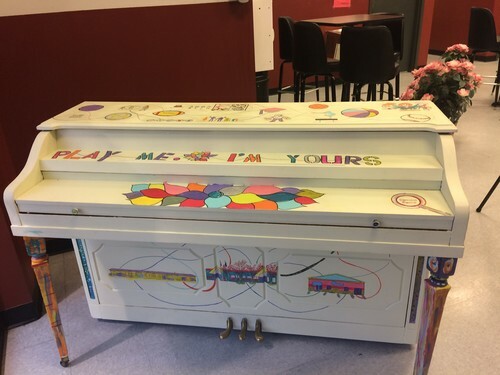 We had a great time playing on the pretty piano Teresa Simons painted! Karen Elender and Stephanie Benjamin were looking in on us from the window!